Singer/songwriter Jackson Browne will perform, as part of his Solo Acoustic Fall Tour, a Benefit Concert for Malibu charity, Safety Harbor Kids. Tickets for the October 4th concert at the Majestic Theater in Ventura, CA on sale now at www.safetyharborkids.org with a limited number of VIP Concert Packages available. Safety Harbor Kids has a long standing music history with their first Annual Concert Fundraiser in 2007 held at the Malibu Inn featuring the dynamic guitar duo of Little Feat fame, Fred Tackett and Paul Barrere. Jackson was in the audience and became one of the first 20 members of Safety Harbor Kids – the Founding 20. Since that historic night, Safety Harbor Kids formed its own band the “Safety Harbor Travellin’ Band” led by band leader Edward Roth of California Transit Authority (with Chicago founding member, Danny Seraphin). Over the years, The Travellin’ Band, as it was called, hosted the likes of Fred and Paul, Albert Lee, Peter Asher, Andy Vargas of Santana, James Belushi, Kenny Aronoff, Tony Braunegal and other great musicians supporting the cause. Safety Harbor Kids also cut their own holiday cd entitled “the Safety Harbor Holiday Collection”featuring Jackson Browne and Inara George, Billy Idol, members of Little Feat, Breakestra and Sheila E. doing an interesting jazzy version of Rudolf the Red Nosed Reindeer with Saul Marquez, Jock Ellis and Chuck Manning on horns. "It is the best Christmas cd since “A Motown Christmas” says Little Feat bassist Kenny Gradney, a longtime supporter of the charity. The Collection is available at safetyharborkids.org. Safety Harbor Kids is a nonprofit with the mission to enrich the lives of orphans, foster and homeless children through education in the areas of College, Career, Music and the Arts. Through its Enrichment Programs in academic tutoring, college planning, career development, internships and music and the arts, Safety Harbor Kids seeks to break the vicious cycle of homelessness, poverty and prison that have ensnared more than 80,000 children within Los Angeles County alone. For more information about Safety Harbor Kids, visit www.safetyharborkids.org. 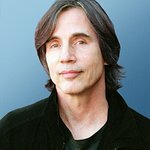 For more Jackson Browne tour details, visit www.jacksonbrowne.com.